HYGGE: WE COME TO LIFE IN COLOR! At CMG events WE COME TO LIFE IN COLOR!, our theme selected for this year’s 2018 International Summit. It is color that reunites us, revives us, makes us breathe. It is in color that we crave. This year Color Marketing Group will reunite with its colorful tribe in the city of brotherly love, Philadelphia (phílos adelphós in ancient Greek!). It is a metropolitan area with strong European influences, which beholds some of America’s greatest history. Philadelphia or Philly for the intimate is also known as the city of William Penn, the founder of Pennsylvania. Philadelphia is where the Declaration of Independence was signed by the Founding Fathers of the United States in 1776 and it was a stand-in capital for Washington D.C.
Philly is a beautiful and stimulating location for this years’ CMG International Summit. One that will please your aesthetic cravings. Did you know that Philadelphia has more outdoor sculptures and murals than any other American city? As first International President of CMG, I could escape with a little bit of European culture and bring it to the International Summit. Together with the Summit Planning Committee, we want to convey a feeling of coming home, a connection to your color tribe where you feel at ease and where you may recharge your batteries with inspiration. For this very reason, we decided to work with a concept that in the meantime has flooded the international market due to its immense popularity. A concept that possibly fulfills a primal need within all of us, that feeling of togetherness. Because “Hygge” (pronounced “hoo-gah.”), Danish, refers to “a form of everyday togetherness”, “a pleasant and highly valued everyday experience of safety, equality, personal wholeness and a spontaneous social flow”. In short, a celebration of daily pleasures. As I am born Dutch, the concept of “gezellig” is very similar to the Danish Hygge but even better. Hygge describes how we all feel as CMG’ers when we finally gather as a color tribe during the year. In particular at the Summit where we feel “gezelligheid” & “hyggelig”: feelings of belonging, spending time with your color loved ones, catching up with an old color friend, or just the overall togetherness that gives us a warm feeling. A European concept yes, but speculations indicate that Hygge might originate from the word hug, a concept much closer to the North American culture than European culture. For some of us, Hygge may be part of our culture, for others, it may be a trend. Yet it is a new way of living that may guide us towards increased feelings of happiness. WE COME TO LIFE IN COLOR! CMG, however, is much more than a new way of living. Gathering with your color tribe in your favorite color environment is just a start. At CMG events WE COME TO LIFE IN COLOR!, our theme selected for this year’s 2018 International Summit. It is color that reunites us, revives us, makes us breathe. It is in color that we crave. Our International Summit is where we gather annually and share global color research and knowledge. You won’t want to miss this informative, inspiring color trend event and networking opportunity. Color Marketing Group®, founded in 1962, is a not-for-profit international association of color design experts who forecast color directions and provide a forum for the exchange of all color aspects. Members represent a broad spectrum of designers, marketers, color scientists, consultants, educators, and artists. Color forecasting events are held throughout the world and the results from these events become part of the global World Color Forecast™ revealed at the annual International Summit. 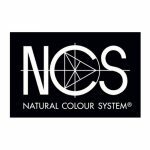 Thank you to our partner, NCS Colour, who is instrumental in providing color design tools and color cards for Color Marketing Group’s events and forecasts. CMG International Summit – WE GATHER IN COLOR! Have you reserved your Summit hotel room?